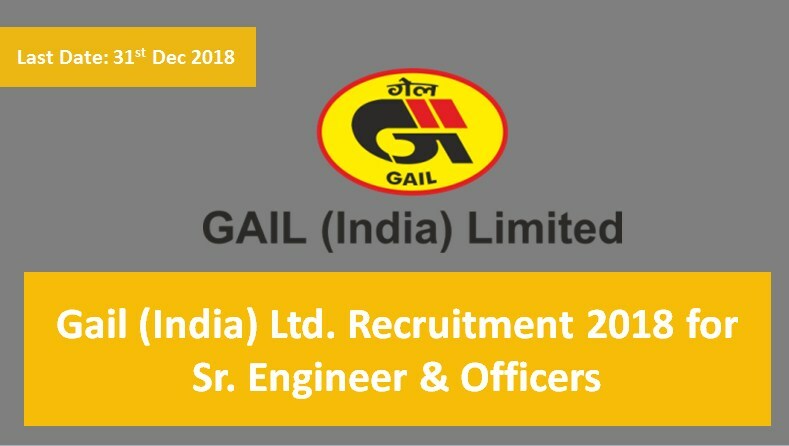 Gail (India) Ltd. has announced online notification Sr. Engineers, Sr. officers and officers posts from across India. 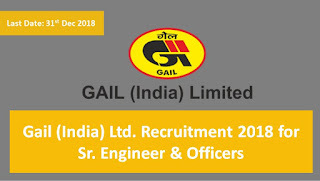 Candidates should be qualified with 60% to 65% marks in graduation & post-graduation in relevant field or qualification criteria defined by Gail in official notification. Eligible applicants can apply before closing date of online registration at official website www.gailonline.com. MBBS with Diploma in specialized field e.g. DGO, DCH, etc. Bachelor Degree in Eng. in Environmental with minimum 65% marks. Master Degree in Hindi Literature with minimum 60% marks.